Kinepolis has added a new image recognition functionality to its Android and iOS apps. 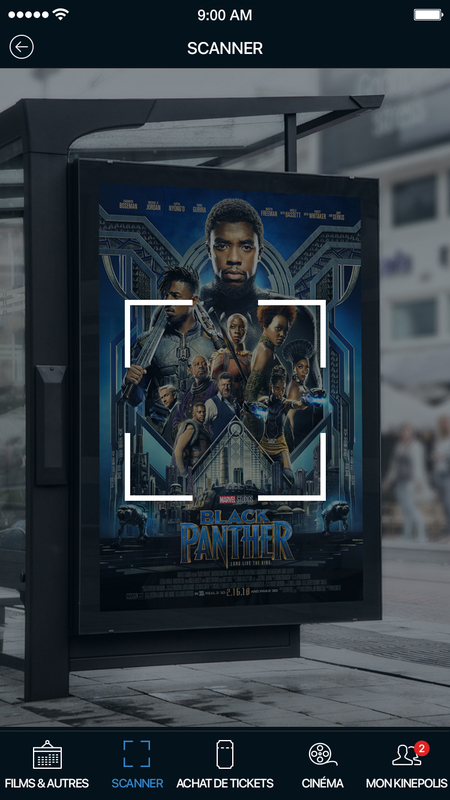 The Kinepolis app now enables users to scan a film poster (for example at a bus shelter, in a magazine, on a website or in the cinema) after which all information about the film will be displayed. 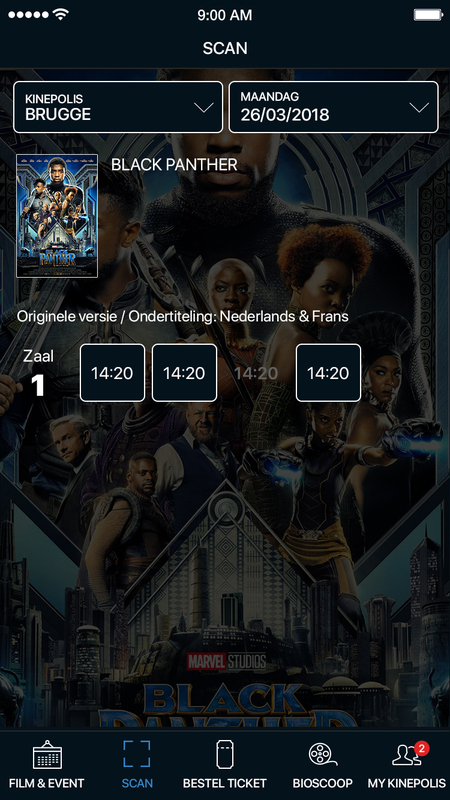 If the film concerned has already been scheduled, the app will show all the starting times at the nearest Kinepolis cinema on the first available date. Tickets for the film can be purchased directly in the app. When you click the poster, a film overview will be displayed that contains all information about the film, the trailer and so on. 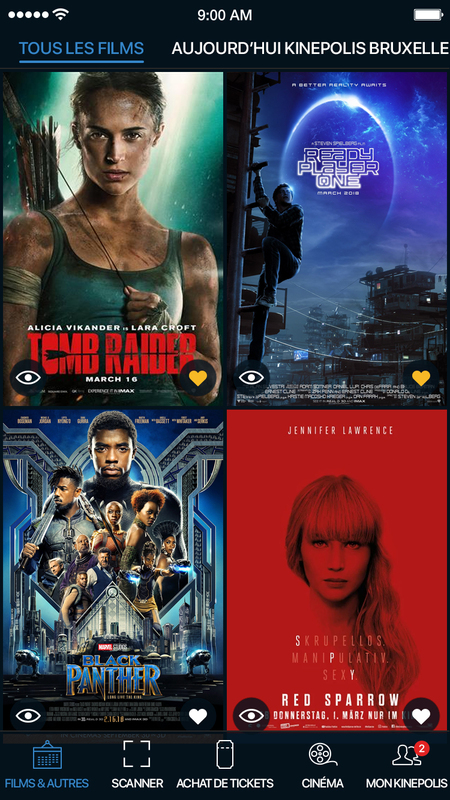 If the film has not yet been scheduled, you still see the film overview and can add the film to your personal wish list, enabling Kinepolis to keep you informed of when the film will be released. How does this work from a technical point of view? No QR code is added to the posters. Instead, the image itself is scanned and recognised based on the film posters stored in the Kinepolis system (which is also used to feed the Kinepolis app and website). The scanning functionality will recognise the poster if the film has already been scheduled (either for today or a future date) or, if it has not yet been scheduled, if it has a release date within eight weeks. Through this new functionality Kinepolis has opened up an additional sales channel in its cinemas for customers who choose the movie they want to see on the spot. If you scan the film poster, you're just one click away from an online purchase and you no longer need to go to the box office. Stefaan Claes, International CRM & Digital Marketing Manager at Kinepolis, said: "The image recognition functionality is a logical next step in our mobile service provisioning. The speed and simplicity with which customers can access film information and tickets in this way is unprecedented. It is an integral part of the unique customer experience that we as Kinepolis want to offer." To develop this new functionality Kinepolis cooperated with the Belgian mobile agency Bazookas. The new image recognition functionality is available in all EU countries where Kinepolis is active (Belgium, France, the Netherlands, Spain, Luxembourg and Switzerland). In Europe, Kinepolis Group NV has 50 cinemas spread across Belgium, the Netherlands, France, Spain, Luxembourg, Switzerland and Poland. Since the acquisition of the Canadian movie theatre group 'Landmark Cinemas' in December 2017, Kinepolis also operates 44 cinemas in Canada. In total, Kinepolis Group currently operates 94 cinemas (43 of which it owns) worldwide, with a total of 822 screens and more than 180,000 seats. Including the acquired Canadian organization, Kinepolis now employs 3,750 people, all committed to giving millions of visitors an unforgettable movie experience.